An image taken by Therrien, which he notes took two hours to stage. 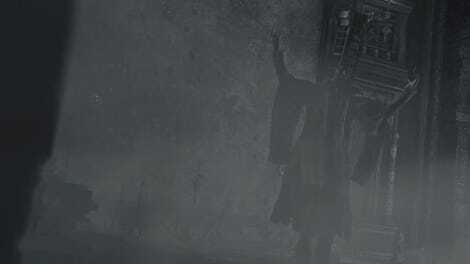 Bloodborne lore contains a group known as the Tomb Prospectors, who explore the labyrinth dungeon on behalf of the Healing Church. Months after release, that idea spawned a group of real-life Tomb Prospectors: players who endlessly scour Bloodborne’s dungeons, all in the hope of finding something no one is even sure actually exists in the game. “What we’re looking for [includes] rare wandering bosses, rare enemies, rare boss spawns or...unusual rooms,” said Connor Therrien, a prominent member of the Tomb Prospectors. The initial idea was concocted by Fred Riley on December 2015. Dressed as a Tomb Prospector from in-game lore, Riley invited others to join him on his quest to explore as many root dungeons as possible, a challenge that has since been taken up by hundreds of people, largely thanks to the efforts of Moros Nyx, who organized the official Tomb Prospectors community online. Tomb Prospectors primarily explore the game’s unpredictable “root” dungeons. 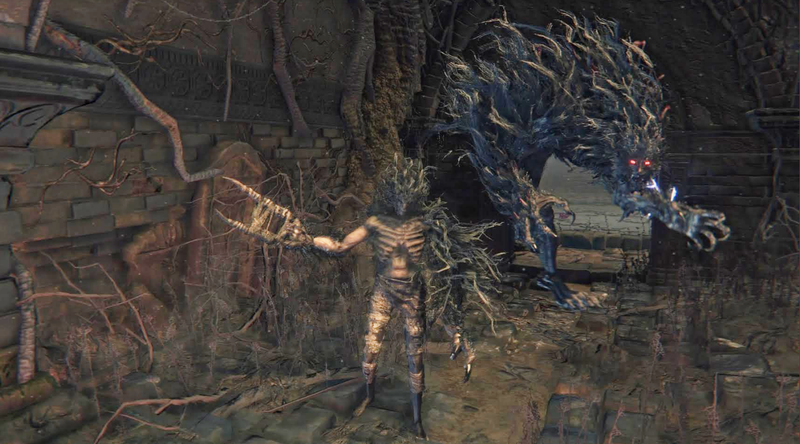 Bloodborne allows players to create areas known as “Chalice Dungeons,” which come in two flavors. Regular dungeons are the same every time, but “root” dungeons are randomly generated. Members of the Tomb Prospectors are encouraged to create these unpredictable dungeons and to share out-of-the-ordinary dungeons with one another using the game’s built-in “glyph” system, which lets them use a code to download Chalice Dungeons created by others. Tomb Prospectors make their dungeons even harder in hopes of finding new experiences. Bloodborne is already a grueling game, but ambitious players can turn it up a notch by performing “rites” that alter dungeons to make them even more demanding. Such additional rites include the Fetid offering, which boosts enemy power; the Rotted Offering; which allows more powerful enemies to appear; and the Cursed offering, which cuts the player’s health. Tomb Prospects turn all three of these variants on, partially because they love a challenge, but mostly because it makes it more likely that the Chalice Dungeon will be unique in some way. Sometimes, Prospectors will find multiple wandering bosses in a single area (“a rather rare occurrence,” Therrien said), and in those situations, Prospectors kite them until they can stage spectacular fight clubs where the bosses tear each other apart, as you’ll see below. While all of these bosses are already known, the Tomb Prospectors are still excited to find them in new places. For instance, at the moment nobody has ever found a wandering boss in the “Isz” type Chalice Dungeon, so the Prospectors are trying their best to see if it’s a possible combination. The Prospectors are also trying to find The Celestial Emissary boss as a wanderer. It’s never been observed before, but the Prospectors are convinced it must exist. 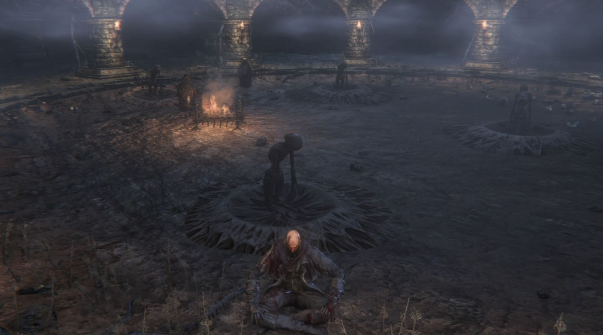 The holy grail, however, is a particular item called “Revered Great One Coldblood,” an object that is listed in the official Bloodborne game guide as something that can only be found in depth 5 root Chalice Dungeons—and yet, nobody has seen it yet. There’s a debate over the true nature of this item in Bloodborne fandom. Some believe that the Revered Great One Coldblood never made it into the actual game, though it may be contained within the files. Maybe the guide is only partially wrong. 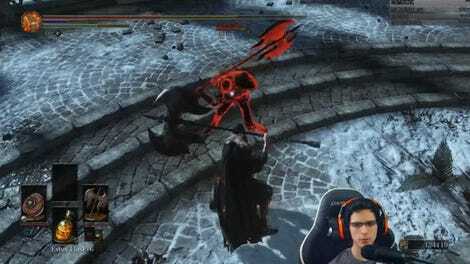 Others think that perhaps Bloodborne is glitched so that it gives you the wrong item. Therrien estimates that he’s created at least 200 Chalice Dungeons with the explicit purpose of finding the Revered Great One Coldblood; so far, no luck. Other members are known to Prospect every single day, meaning they’ve likely created thousands of Chalice Dungeons. “You never know what you’ll find!” Therrien said. 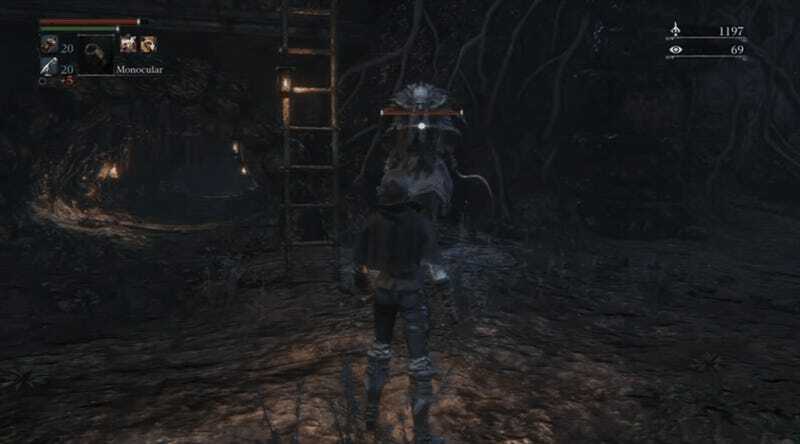 The Tomb Prospectors can be found on PSN as the community “Bloodborne: The Tomb Prospectors,” and they have a subreddit where they share findings here. A YouTube gallery of Tomb Prospector findings, compiled by Moros Nyx, can be found here. A Google Doc containing Bloodborne Prospector glyphs, also compiled by Moros Nyx, can be found here. Update 1/11 7:54 AM: We originally credited the Tomb Prospectors entirely to Fred Riley, but have amended the article to account for the fact that Moros Nyx is largely responsible for the modern Tomb Prospector community.